Welcome to the eero Labs features and feedback thread! Here is your place to share your experiences with new eero Labs feature releases, as well as let us know the types of future concepts you'd like to see here. We encourage you to share your feedback and interact with others, as well as have an opportunity to interact directly with our developers. While this section will be more focused on connectivity related features, you can also submit general feature requests here. For more on eero Labs, visit the eero help center. Fantastic stuff and this is one more pro consumer moves that separates Eero from its competitors. Band steering is just what I wanted. This is more mobile app feature, and it may not be technically possible. But it would be awesome if the app (perhaps as macOS and Windows helper app?) can be used to figure out optimal places to install additional eero units. Very nice! Thank you for this as I greatly appreciate it. Hopefully I'll launch the app one day and see DPI enabled. This is why I bought into the eero system. I use a VPN for work and it seem to have problem when the Smart Queue Management is turned on. Thanks for looking into this. Would love to see a feature that limits the usage of a particular IP address or device maybe based on hour of usage, like on a child’s laptop, they are limited to 5 hours a week and then they can no longer access the internet. Drgnfish I use a VPN as well for work, Cisco AnyConnect, and I can still connect with SQM enabled. Just providing another data point. I would have to say my wife would be in heaven if your suggestion was implemented (although my kids would cry). Drgnfish I also use a VPM for work and have no issues with SQM enabled. However, I feel like there is a bit more latency now as I surf the web in general. Entering a URL in the browser and hitting enter does not provide an immediate response indicating page loading. There seems to be a one second, or less, pause before site starts loading. I've been looking for something like this from you guys. But - not seeing it. running android/2.17.0.36102 - nothing under network settings. Thanks for reaching out and sorry to hear the issue you're experiencing. By any chance, is your network in Bridge mode? 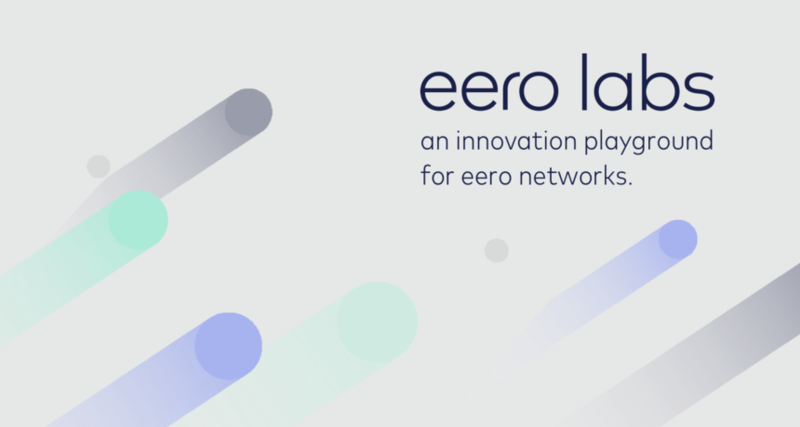 eero Labs and other advanced features are not available when a network is set to Bridge mode. diomark That’s weird. It’s the last setting at the very bottom of the Network Settings list. If the eero’s are in bridge mode, you won’t see the option. carlsimmons81 yes, I'm bridged. (connecting to a Ubiquiti Networks edgerouter). Sad to hear this. my network is not set to bridge mode, but I don’t know how my VPN works, it’s not Cisco so it might be harder to figure out the problem. It’s a custom VPN that connects with a token app on my phone. Fan of tinkering with new hardware. Canadian dude. diomark I also discovered that the new advanced features won’t work under bridge mode. Was running Bitdefender Box under bridge but back to eero Plus now. I like the eero integration. I enjoy the new features as well. My only request would be a proprietary VPN connection. One that can ask eero servers what my dynamically assigned IP is using my account credentials and establish a secure 256 bit encrypted tunnel from my devices. The need is is mostly based around both personal and business. Personal to have a secure connection to an internal NAS. Business would benefit going on vacation and accessing my company workstation securely. I like the partner feature of Encrypt.me for safely browsing while on public resources, but would rather not have to rely on a service such as Synology for VPN when I feel an eero solution would be far more fitting even as an additional paid service. Drusito If you want to access Hulu, Amazon Prime, BBC, Netflix or any other channel, you can get PureVPN. I wanted to report that with the Smart Queue Management on iOS 11.4 beta cannot complete an iCloud backup. I turned this off and backups work fine. Just wanted to give you that feedback. Thanks for reporting this! That definitely hasn’t been the case with the current production version of iOS. If you could submit a ticket to our team, we’d be happy to start investigating in case there are any changes coming in 11.4 we should look into. You can submit a ticket by emailing support@eero.com . NCSUCPE I was able to complete an iCloud backup of iPhone X, iPad Pro 12.9 (2nd gen), and iPad Pro 9.7 on both iOS 11.4 beta 3 and 11.4 beta 4 with the SQM active on my network. 1st Gen Eero's. The only difference that I can say for certain on my network, would be that I have content cache enabled on my MacBook Pro. However, iCloud backups do not store there as far as I am aware. I checked my cache folder and the most recently created files were three hours prior to conducting these tests. Hopefully, the algorithm behind the new feature will sort out your connection issue. As a side note, my ISP is Spectrum. Drusito I can reproduce this behavior on my iPhone X my iPad Pro 10.5 on the same beta and it works fine. This afternoon at about 3:45 each of my four outdoor Nest cams went offline for a minute or two. Not sure why. In Canada, Nest outdoor cams are not allowed to run at 5ghz so they are defaulted to 2.4. I have no control over the frequency. I cannot blame the glitch on the new eero Labs features, but it’s the first time ever that my Outdoor cams have disconnected - only thing that has changed is that I’ve enabled SQM. My indoor Nest cams (running at 5ghz) were not affected, so it seems it affected only 5 ghz cams. I know they were affected by the recorded history . I run multiple Xbox 1 on my eero network, so the feature sounded beneficial and I tried running it for 3 days. Unfortunately it needs work and I needed to turn it off. - I am getting data corruption on downloads. It took me 5 attempts to get a relatively small game update (~100MB) to successfully download without corruption. - Had a similar problem with a 4.7GB Xbox system update, corrupted and couldn't pass data validation, turned off Smart Queue and worked fine. First time I had ever experienced this type of issue on eero. - My son has been experienced several drops a day in Internet that would boot him off the game and had to restart. Removing Smart Queue seems to have helped. Any chance the eero Labs features will make it to systems that are in bridge mode? I have a dedicated firewall between my gateway and my eero mesh network. atm0sphere814 Ditto - exactly. My setup doesn't allow for having the eero wifi routers NOT in bridge mode:( but some of these functionalities have nothing to do with nat/firewalls/etc.. Thanks for reaching out! If we release any future features for eero Labs that wouldn't require a network to be out of bridge mode, those features would be available to all networks. At that time, we'll update the requirements of eero Labs for specific features. Hey guys - love the idea of SQM. Have had it on for a week or so with no issues except today, while downloading three large files (about 2GB each) the transfer randomly slowed to 43kbps at about 50% completion. I stopped the transfer and started over, no luck. I turned off SQM and started the transfer over and back to full speed. Just wanted to contribute in case it helps with tuning this feature. This occurred on an iMac running Transmit, connected to a beacon. Thank you so much for all the great work!! Would it be possible in the future to add an option called eero profile? Where you could select one of the eero's to go offline from 20:00 until 07:00 am? I say this because during the night I would love tobe able to disable one or two eero's. Or an option to disable the wireless in the eero from 20:00 until 07:00 am and having the cable connection on at the same time. I enabled Band Steering and it immediately dropped my Guest network and everything connected to it (Nest Doorbell and other IoT devices). Turning the feature didn't seem to fix it, so I restarted the eeros and I was back in business. But the feature is turned off. Mike K I had the same experience with Band Steering, and like you it took a reboot (with the labs feature off) to resolve it. My eeros are in bridge mode. mat OK. FWIW, my eeros are NOT in bridge mode. I have eero Plus features enabled. Mike K I had same experience where Dlink camera on guest network does not connect with beam steering enabled. Still I’m loving the beta feature access Eero team. I’d love to see the ability to vpn back to my Eero from public WiFi if that is feasible. I enabled band steering yesterday on my first-gen, three-pack system but had to turn it off after an hour. Enabling band steering seemed to force all my Nest cameras to connect to the same eero in my house. That was fine for three of the cameras, which are relatively close to that eero. However, one of the cameras is on the other side of the house from that eero and the camera was trying to maintain a 5 GHz connection to the eero that is furthest away from it (a double whammy). For the next hour, I watched as the camera would be online for a few minutes and then offline for 10 to 15 minutes. There was seemingly nothing I could do to make that camera to connect to the eero that is within 15 feet of it. I turned band steering off and the camera immediately connected to the eero that is 15 feet away from it. avanpelt I have 10 Nest cams. 6 are indoors and run at 5 GHz and never disconnect. The outdoor cams though are regulated to run at 2.4 GHz in Canada. I get the occasional disconnect from each of the outdoor cams even though none is more than 10-15 feet from an indoor Eero. I have band steering (and all the other eero Plus betas and features) running and the outdoor cams do disconnect randomly and occasionally, generally for a couple mins. avanpelt I saw this same behavior as well and left it on. After about 1/2 a day, devices starting to connect to the strongest signal, i.e. the closest eero. Just a FYI. Found a potential issue with the Smart Queue feature. I'm assuming that the feature itself uses the detected bandwidth to manage and regulate client bandwidth consumption which is pretty normal for any QOS/QOS-like features. The problem is the mechanism for the running the bandwidth speed test is seemingly constrained by the system itself. I just updated my connection speeds to double what I had and the internal speed tests were not reflecting the change. When doing speed tests on both wired and wireless clients, the speeds mirrored what was showing in the app and was limited to the last detected slower speed before the upgrade. It wasn't until I disabled the Smart Queue feature and let the internal speed test run was it then able to detect the faster speeds and allow all of my clients to show bandwidth updates. This was especially an issue since the installer asked me to do a speed test and was showing no change in internet speeds and I mentioned to him that there's no way it could be the Eero and then proceeded to prove myself wrong. - Allow a Smart Queue whitelist to allow any client or destination to bypass the queue. This will essentially enable a prioritization feature which would be more in line with traditional QOS and probably greatly appreciated by everyone including myself. - Add the internal speed test mechanism to this whitelist. - Add any bandwidth speed testing domains to the whitelist. This is probably insanely difficult to do so you're probably better off adding a disclaimer to the feature that mentions that any speed tests done on client computers may be affected by Smart Queue. foo I had this exact problem. What made it worse for me is since the Eero automatically runs a speed test every night, if there was a test that resulted in a slow speed, the Eero would hold that slow speed until another speed test was run. Have been experimenting with eero Activity Centre / Labs activated vs disabled. There is a small but measurable positive difference having eero Band Steering, DNS caching, and SQM enabled VS. having eero in Bridge Mode through a Bitdefender Box2 with SQM and DNS caching disabled. There are Nest cam disconnects on both, but the eero features are a bit smoother than the Bitdefender ones. Things are generally stable under both systems, but eero Plus and labs seems to be slightly ahead, at least in my testing. Mac HomeKit also is slightly more stable with LIFX bulbs having less disconnects. Devices: 10 Nest cams (5 outdoor running at 2.4), 19 LIFX bulbs, variety of Apple HomePods / Google Homes etc. 60+ devices being pushed against eero at any given time. I don't think local dns caching is working for me...unless I am failing to understand how it works. My assumption is that the eero would point dns to my gateway eero which in my case is 192.168.1.1. However, with it switched on, all my clients are still pointed to 1.1.1.1 cloudflare dns. Is anybody else seeing this behavior? joedaman88 If you have eero Plus engaged, some devices will still show your preferred dns. My Apple TV shows 1.1.1.1 too but it’s just because my modem has been pointed there. Everything is still sent through ZScaler no matter what. Perhaps they should add a screen explanation though. This seems to be a common question. cotedan87 I appreciate the input. I am not currently an eero Plus subscriber. cotedan87 Well, when I use Terminal inside of OS X and do a NSLOOKUP, it is asking google's ipv6 DNS for resolution 2001:4860:4860::8888. This is the DNS that Spectrum is currently pushing down to me. So I am not so sure that this feature is working correctly. Maybe someone at eero can chime in? joedaman88 cotedan87 it looks like the local dns caching now works correctly with the latest 3.9 firmware update. Excellent features. Thank you! One suggestion is to add reporting. Those of us that like to geek out on new features like this would like to get reporting on things like DNS caching, how successful 5G steering is etc. 1) Some LIFX bulbs become unresponsive randomly through the day. Smart bulbs have some way to go before they become stable on any router. I believe same happens for Phillips Hue bulbs. Maybe it's because I have 60+ devices going at any given time. Only solution is to power cycle the bulbs. 2) One of my Nest cams persistently tries to connect to the furthest of the 6 eeros in the house. Dunno why. Signal turns 1-2 bars yellow, then 3 bars green, back to yellow etc. Probably the signal is just strong enough to keep the connection from switching to a closer eero. There is an eero about 10 feet from it tho. Such is life. Will have to power cycle it. SQM causes my network's speed to cut in half. Obviously this is a beta, but it drove me crazy until I figured out what was causing the problem. I have everything in Eero Labs turned off until it's ironed out. mperu0608 might be the same issue I ran into. The way i fixed my issue was, while SQM is off, do a network speed test on the Eero so that it registers the correct available bandwidth. Then turn SQM back on and test your speeds again both on the Eero and on a connect computer to see if that fixed your issue. foo Thanks for the suggestion. That didn't work for me. When I discovered the issue, I tried turning it on and off a handful of times. Every time it was on, I got about 50% speed. Immediately after turning it off, I was back to 100%. mperu0608 I have all eero labs features on, as well as all eero Plus features enabled. The nightly eero speedtest shows approx what I should be getting from my isp. Eero tests are not done through Speedtest though. Speedtest.net results show half the upload speed I should be getting. For now I have very stable results (once I removed 19 Lifx bulbs from my system and replaced them with Philips Hue). eero Labs and eero Plus fully enabled seem to be very stable for my 40 devices. I have reset the system to see if that solves the problem, and it doesn't. My Nest Cams would be the first to notice low speeds and fluctuations, and so far, so good. I used to have random disconnects of the Nest cams running at 2.4 when I had those 19 Lifx bulbs, since removing them, all problems have disappeared. Turning off Eero labs resolved the speed issues for me. Eero is looking into the app showing incorrect test results (but that doesn't affect my network so that's not a big deal). mperu0608 sounds basic, try swapping Ethernet cable to gateway. mperu0608 devil’s advocate question for you .... I used to think that speedtests were absolute measures of performance. Not an IT person here, but a heavy user of technology. Many of my IT colleagues have convinced me that speedtest.net etc are not the ultimate measures of how your network is performing. cotedan87 Thanks for the thought. The way I discovered this in the first place was I noticed a drop in performance of the network as a whole. I did consider that speedtest.net is not possibly a surefire way of knowing if my network is performing, but it showed almost exactly the speed my router should output, so I liked that. The speed test on the Eero app shows about 1/2 of that, which shouldn't be the case if my network is indeed performing the way it should. I had my ISP out to take a look at our network, and everything checks out. In summary, even though the app does not show my network performing at the speed I pay for, I do believe it really is (with Eero labs turned off anyway). I think the bad speed test data in the app is something Eero can iron out. Do your IT colleagues have a different service they like to use to test speeds? mperu0608 good observation and not that different than mine. My network performs well though. I’m also running Mac beta Mojave so I like to live dangerously at times :). Perhaps IT peeps can chime in on this convo. cMoo92 might have some wisdom on this. mperu0608 it’s worth the risk actually :) I’ve had zero issues of stability, and my 2013 iMac with fusion drive is finally running APFS. I run mainly Safari, email, Word, PowerPoint etc but Mojave is as stable as was High Sierra before it, at least for me. For a beta, it’s remarkably stable this time around. cotedan87 Good to know! Thanks! mperu0608 I am a licensed marriage therapist if that helps in your decision for MacOS Mojave :). It’s been been very stable here. Not sure what software your family runs but for me nothing has crashed or acted crazy with it. I like the APFS file system with my old fusion disk. Gives some comfort for an aging hard disk. cotedan87 hahaha! That’s mighty nice of you. mperu0608 it’s a dangerous habit isn’t it. But good. But dangerous. But good. speedtest.net has notoriously been one of the worst speed test services. Really any speed test that uses Flash is bad. Now that Speedtest.net uses HTML5 though, it seems, IMO, to be improved. A personal favorite of mine for quick/easy download speed testing is Netflix’s fast.com . cMoo92 Thanks much once again. All show relatively similar speeds although fast.com doesn't show UP. With Eero Plus am getting about half the upload speed (4-5 instead of 10) although I figure the DNS has to be filtered by Zscaler etc, so a bit slower. It hasn't presented any issues with my 10 Nest cams tho. Still have a bit of UP room to spare. cMoo92 Thanks for your thoughts. SQM seems to work well in my household...we have between 35 - 45 devices connected and 6 - 10 devices actively streaming or using significant bandwidth. My ISP provides 400/20 speed. 1. Have a place for a user to input the expected speeds from their current ISP. 2. Use the average speed for the past 7 days, throwout the top and bottom tests, use the average and compare to expected speeds from ISP to determine how SQM manages user usage. Without using some sort of average and SQM is either very effective or behaves badly because of a speed test that occurs during peak hours where variance are to be expected. Just wanted to add that I think the Eero folks are crushing it lately - sure, there's more to do and all that, but wow -- the labs stuff and the greater insights within the app (like seeing what gadgets are connected to which Eeros) are super cool, nice work! I continue to recommend Eero to folks and am excited for what comes next.